Now if only they had something like this for AA and AAA. Exactly. I am looking for one that holds 2 or 3 AA's. Hammond and a few other places do make cases that have battery holders built-in for AA (and I think AAA might be available also), so if you need a case as well, that might be a good choice. I'd really like to see an AA with a 'top' opening case (i.e. one that allows access to the full length of the battery) rather than the 'side' opening like this one. 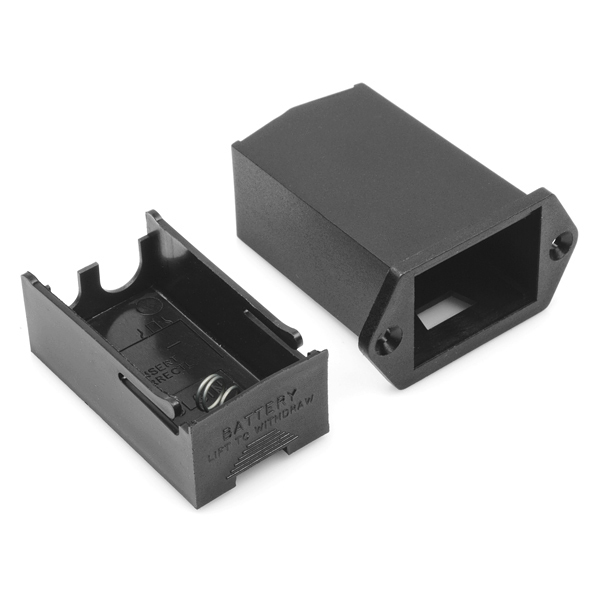 Something like that could be used in many types of enclosures, including plain old Zippy-Box type cases. 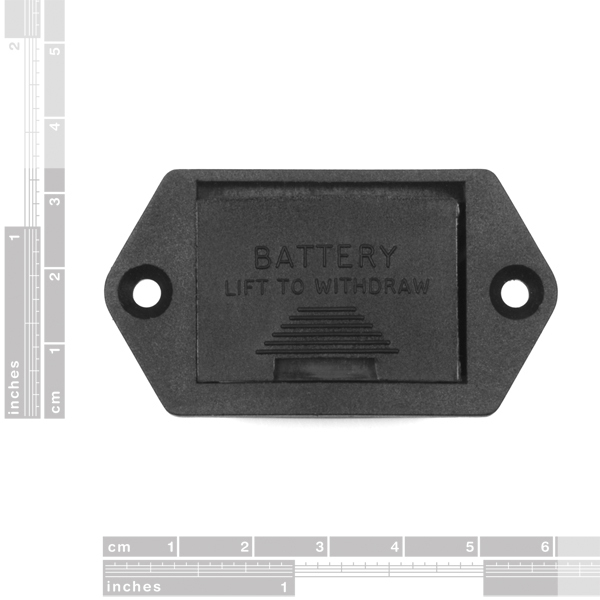 Be careful when putting the battery tray back in, this design allows you to put in with the terminals reversed. 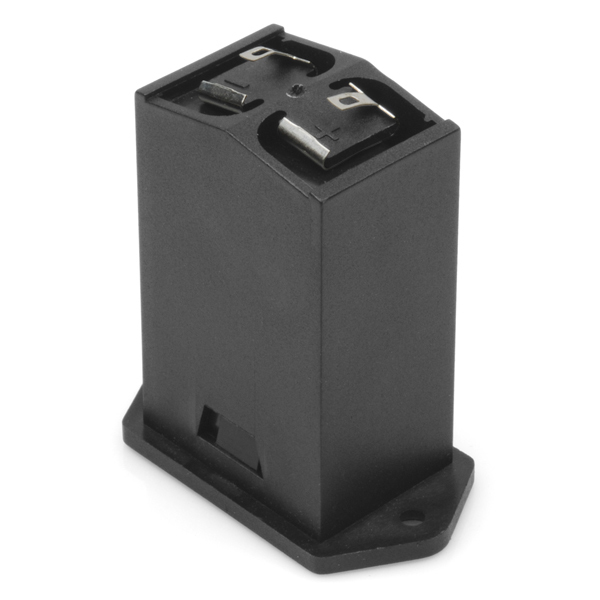 You could also put the battery in the holder with the terminals reversed if not paying attention. The dialysis machines at work have this holder and I am always repairing the power logic board because of the battery getting put in wrong. Or add a bridge rectifier to get the battery to work reversed or not, but you sacrifice a little efficiency vs. just a single diode. Have you thought about puttting a diode inside the machine? Soooo handy for replacing a 9v without opening your custom wood case. I built a custom wood enclosure for my Meeblip Micro atmega digital synth. The laser etched front panel is attached with wood screws, so I'd have a limited number of times I'd be able to open the case before the holes are stripped out. I mounted this on the back panel and now I don't have to open the case to replace the battery. These are great, easy to install. Draw the rectangular shape where it's to be installed, then drill within the rectangle. Use a file to make the rounded edges (corners) square. I build a lot of arduino based geocaching projects in smallish boxes. 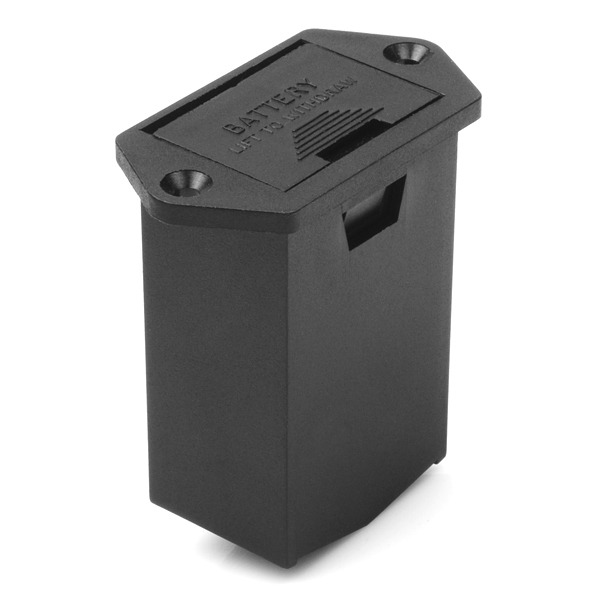 This vertical positioning of the battery is perfect for those projects that have limitied space within the box. I hope they build one for 4 AA cells next. . . and then 6 AA's.